Back in the spring I ran a series of photos taken on a walk on Mayne Island. 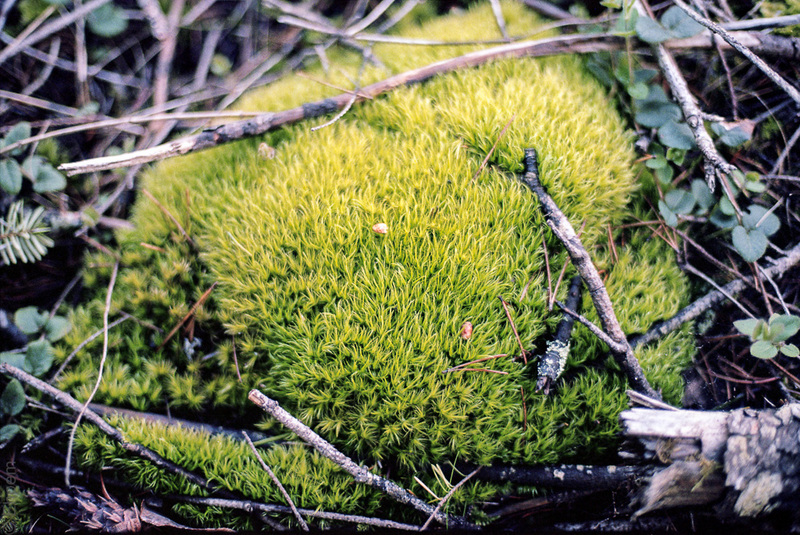 Looking back at the scans, I see there are others that warrant a showing, like this clump of moss and tree detritus. Thank you Sherry. The moss out here is something special – it is everywhere, and in the spring totally luxuriant in our immediate area and then hard and dry in the summer. there’s a whole world in that image! Thanks Eric – there is a lot going on and cycling through here.